Terry Lee Blackwell, 72, of Billings, Montana passed away due to complications from mesothelioma at his home with his wife Cynthia and companion cat, Nina by his side March 17, 2019. Terry was born November 13, 1946 in Spokane, Washington to Charles Clymer Blackwell and Ferne Henrietta (Emmel) Blackwell-Jones. His father worked in construction during the post-WWII building boom; as a result Terry lived in a number of states while growing up. He shared many fond memories of outings and activities his family did together while traveling around the country. Eventually, the family settled in Helena, Montana where Terry graduated from Helena Senior High in 1964. After graduation he started a four-year apprenticeship program to become a journeyman Heat and Frost Insulator (Pipe Coverer). Terry thought his career goal seemed well established. However, after two years in the program he chose to enlist in the military rather than being drafted. From 1966-1969, Terry served in the United States Air Force. His Air Force Specialty Code (AFSC) was Security Police. He did an 18-month tour of duty at Kadena AFB, Okinawa. For the remainder of his time he was stationed at Malmstrom AFB Great Falls, Montana. Terry was honorably discharged with the rank of SSgt. (E-5). He sustained a spinal cord injury (SCI) that resulted in high-level paraplegia in his early twenties. His experiences with post-injury rehabilitation led him to pursue a new career goal in rehabilitation counseling. Terry realized he would need more education and training in order to achieve this goal. He first earned a Bachelor of Science in History and Political Science from the College of Great Falls. His Master of Science in Career Guidance from Northern Montana College and Master of Science in Rehabilitation Counseling from Eastern Montana College were completed a year later. Upon completing his master’s degrees Terry worked for three years as a Rehabilitation Counselor for the state of Montana in Great Falls. Terry ultimately earned a Doctor of Education in Rehabilitation Counseling from the University of Northern Colorado. His postdoctoral employment included four years as a School Psychologist with the Great Falls Public Schools. For the next six years, Terry held the position of Director and Counseling Clinician with Montana Rehabilitation and Clinical Consultants, a multi-state private practice partnership. He later operated a solo private practice for six years providing assessments, consultation services, counseling, and training. He then accepted a faculty appointment at Louisiana State University Health Sciences Center (LSUHSC) New Orleans, where he achieved the rank of Professor of Rehabilitation Counseling. In the aftermath of Hurricane Katrina, Terry returned to Montana to accept a position as Professor and later Chair of the Department of Rehabilitation and Human Services at Montana State University Billings. He served the program for 11 years until his retirement in May 2018. He was subsequently awarded the title Professor Emeritus. 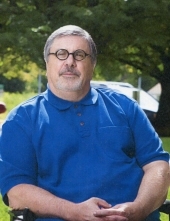 Terry authored or coauthored over 50 books, chapters, journal articles and other professional publications during his academic career. Throughout his lifetime Terry maintained an active lifestyle. As a young adult, he became involved in motorcycle racing, with his favorite type being the then emerging sport of motocross. Terry won over 50 trophies and awards during his racing career in the United States and Canada. His motorcycle-racing career was cut short when he sustained a SCI. While living in New Orleans Terry had the opportunity to participate, as a wheelchair entrant, in long distance running events almost every weekend. This allowed him to interact with runners, who accepted him as an equal. Terry became aware of two clubs that recognize runners who have completed marathons in all 50 states. He then decided to make this his goal after completing his first marathon in 2001. He joined the 50 States Marathon Club and over the next four years completed marathons in 49 states and Washington, D.C. He had yet to race in Hawaii at the time of his passing. Terry frequently included his wife and sons in many of his events, hobbies and travels. The memories they acquired together are priceless. Additionally, while living in New Orleans, Terry’s interests drew him to a number of activities unique to the Gulf Coast region. Shortly after his arrival to the area he emerged himself into the foodie experience, which is described as live to eat, so many restaurants so little time. One of the cultural high points of living in New Orleans consisted of his two years association with the Krewe of Endymion, a Mardi Gras organization. Further, Terry participated in the Gulf Coast Chapter of the Paralyzed Veterans of America (PVA) as a board member and several state and local professional organizations. Terry, who loved, laughed and joked to the end, is preceded in death by his parents and Dinah, his feline friend of 18 years. Terry is survived by his loving wife, Cynthia, who he met and fell in love with while living in New Orleans. Two devoted sons, Nathan (Brie) of Everett, Washington, and Chad (Kim) of North Liberty, Iowa who he had with his former spouse Susan (Vasichek) Blackwell, of Great Falls. Additionally family members include sister, Michele Emmel of Paola, Kansas and three grandchildren, Isaac, Isabel and Cole. A memorial service and celebration of life will be held on Saturday, May 4, 2019 at 4:00 p.m. at the home of Dr. Thomas and Dr. Cindy Dell 617 Pinehurst Road, Billings, MT 59105. Terry wanted to recognize and give special thanks to the VA Healthcare System for the services and treatments they provided him over the years with a special thanks to the Billings VA Home Based Primary Care Team. Additional thanks go to the caregivers he had the opportunity of working with during his most difficult challenges and changes. In lieu of flowers, family and friends are asked to donate to the Paralyzed Veterans of America (PVA) or the American Society for the Prevention of Cruelty to Animals (ASPCA). To send flowers or a remembrance gift to the family of Terry Lee Blackwell, please visit our Tribute Store. "Email Address" would like to share the life celebration of Terry Lee Blackwell. Click on the "link" to go to share a favorite memory or leave a condolence message for the family.